RKI truck boxes are built to withstand tough conditions. Truck boxes are available in a variety of designs, with side-opening doors, full-length lids and double lids. 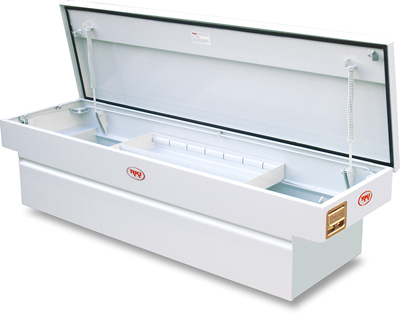 Low side truck boxes mount along the side of the bed rail with a spring assist lid opening for convenient access. Upper side truck boxes mount above the bed rail or fit any flat application. 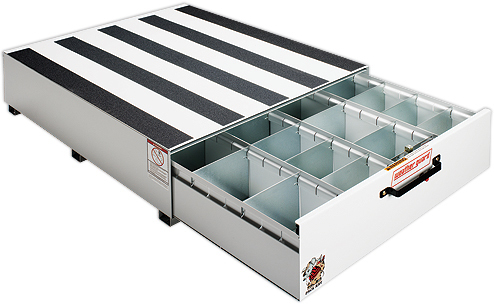 Topper compartment boxes are ideal for general applications such as flatbeds or on top of a service body. They can be mounted on any flat surface and also come with spring assist lid openings for convenient access. H-Series truck boxes are horizontally hinged. V-Series truck boxes are vertically hinged. Both are available in various sizes and door configurations with machine chain door stops and weather-resistant door seals. Designed for heavy loads, WEATHER GUARD® PACK RAT® Drawer Units were also designed with modular shelving applications in mind. Have your equipment waiting for you as soon as you open the door. 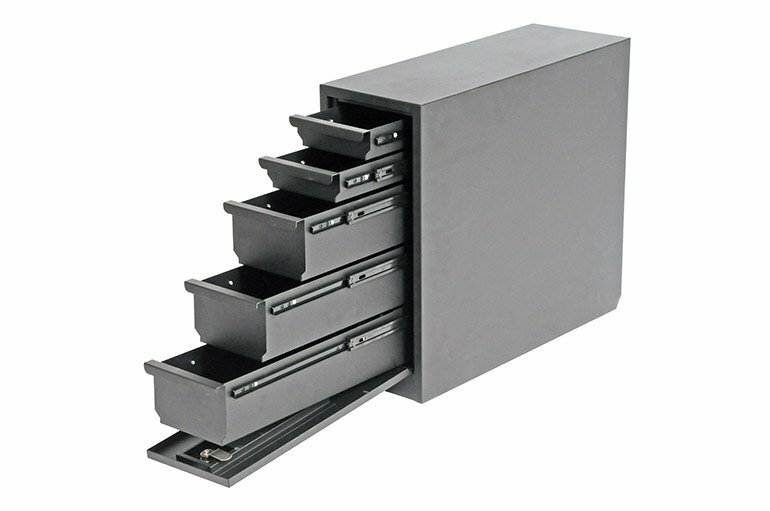 These heavy-duty pull-out drawer units can be mounted inside the side or rear doors. 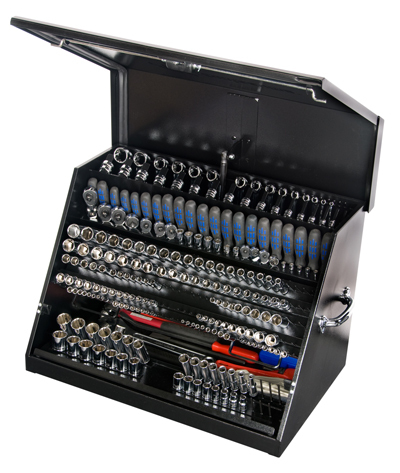 They offer easy access to hundreds of pounds of tools and supplies while leaving floor space open for hauling materials or moving in and out of the vehicle.